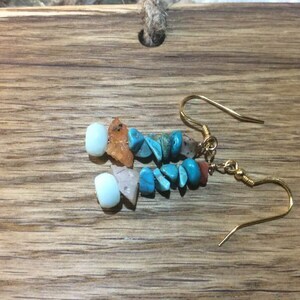 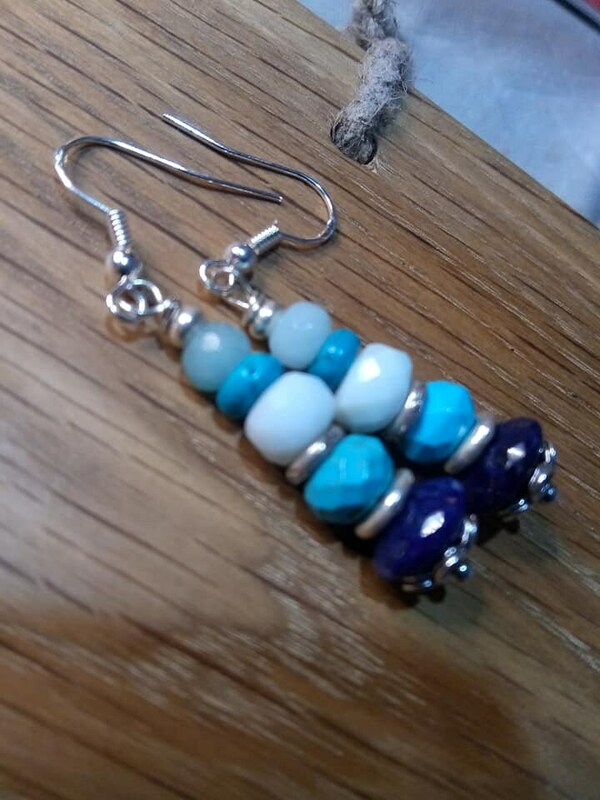 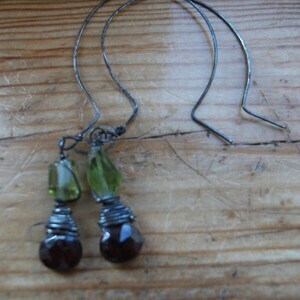 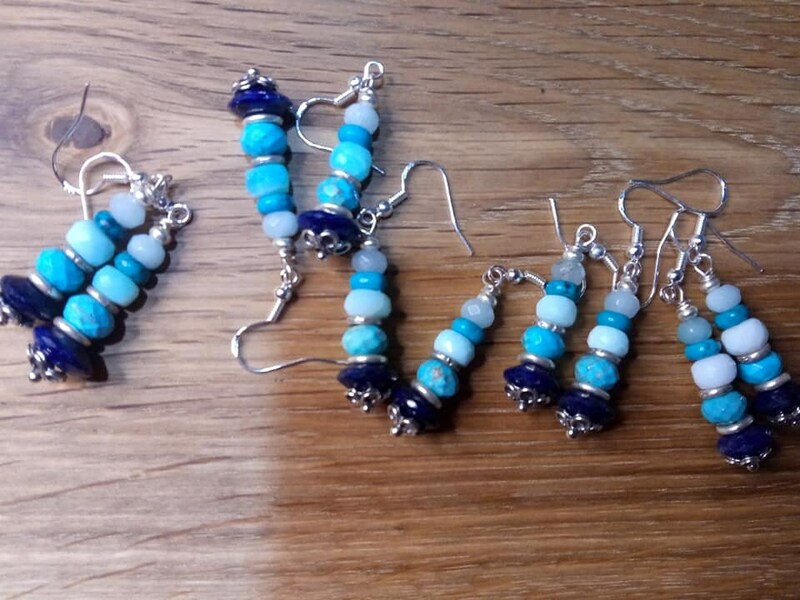 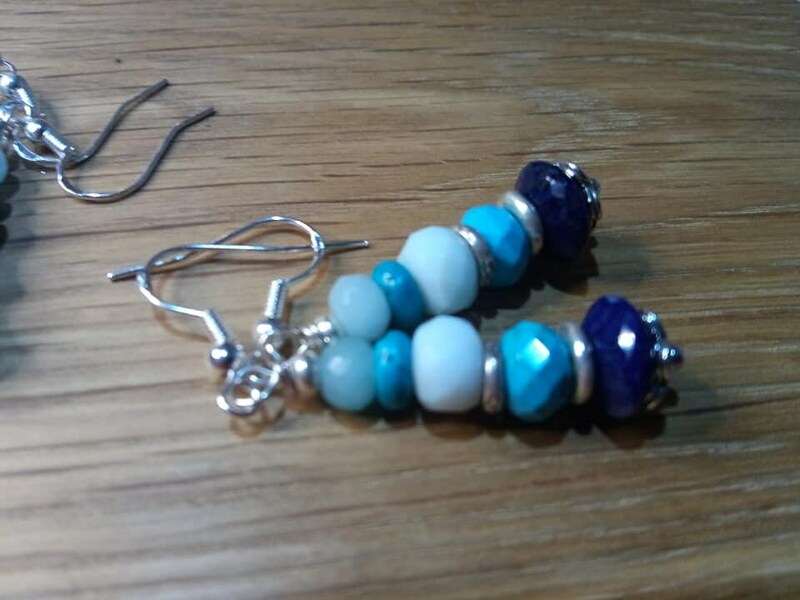 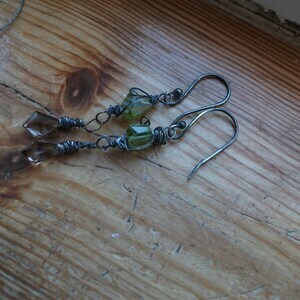 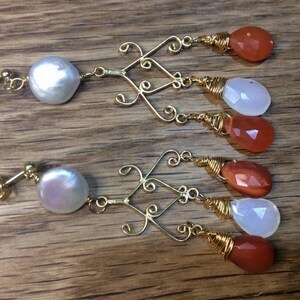 just under 2 inches long, these earrings have fancy Bali headpins made of sterling silver. 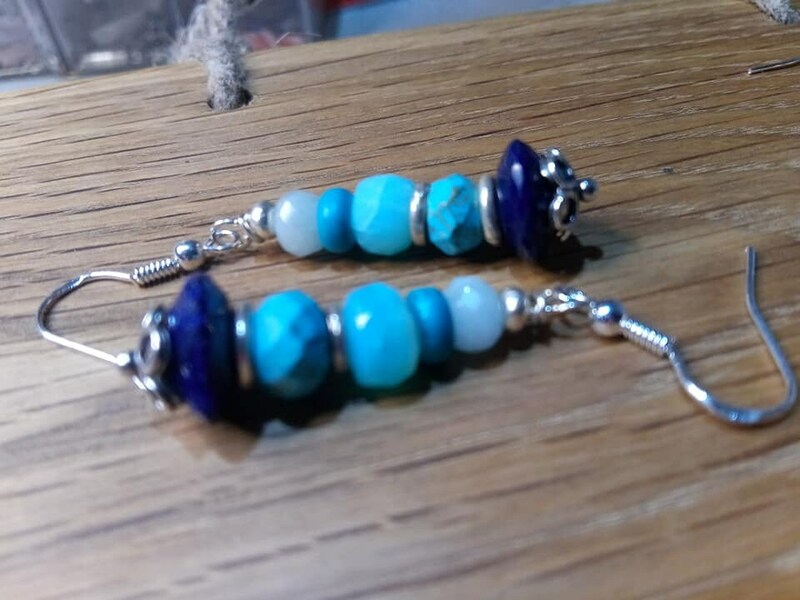 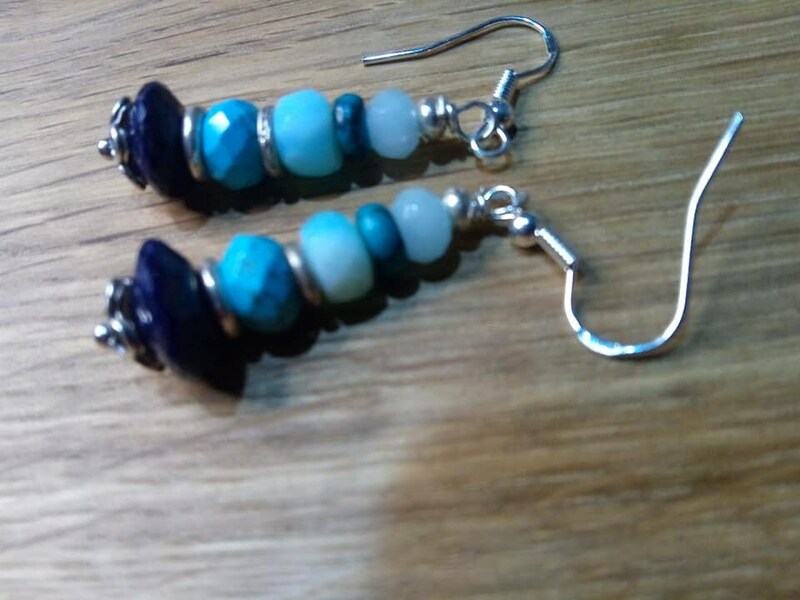 On the bottoms are german cut sapphires, and above them are turquoise, blue Peruvian opal, chalcedony Thai Karen silver beads. 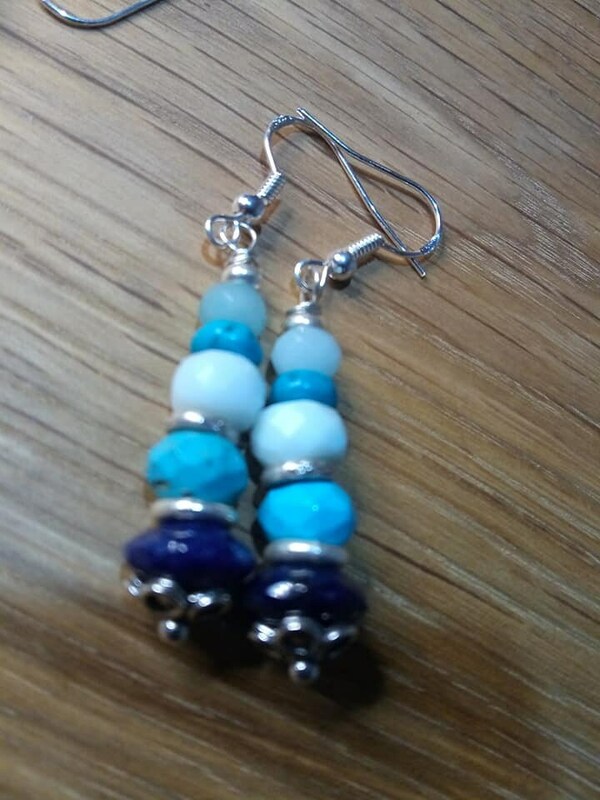 these are in beautiful shades of blue.